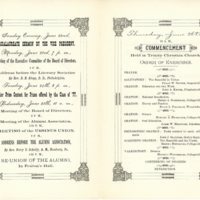 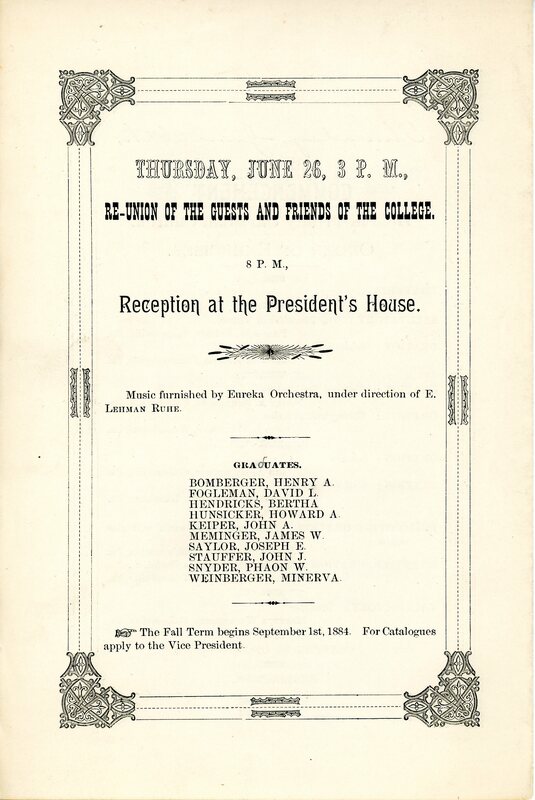 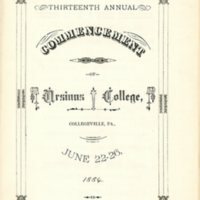 A pamphlet of the 1884 Commencement the year in which the first two women, Minerva Weinberger and Bertha Hendricks, graduated. 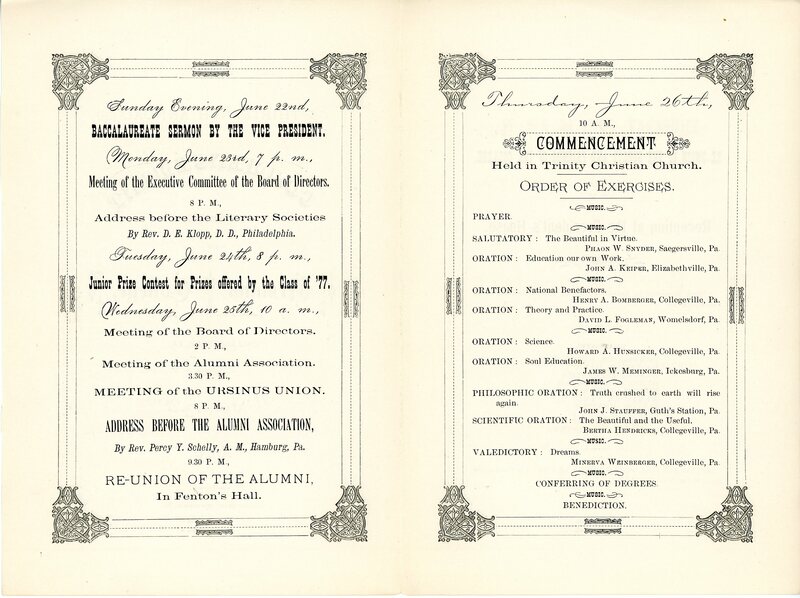 Minvera was valedictorian. 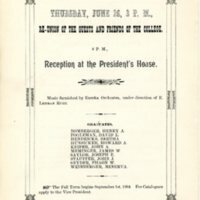 This includes the front, inside, and back. 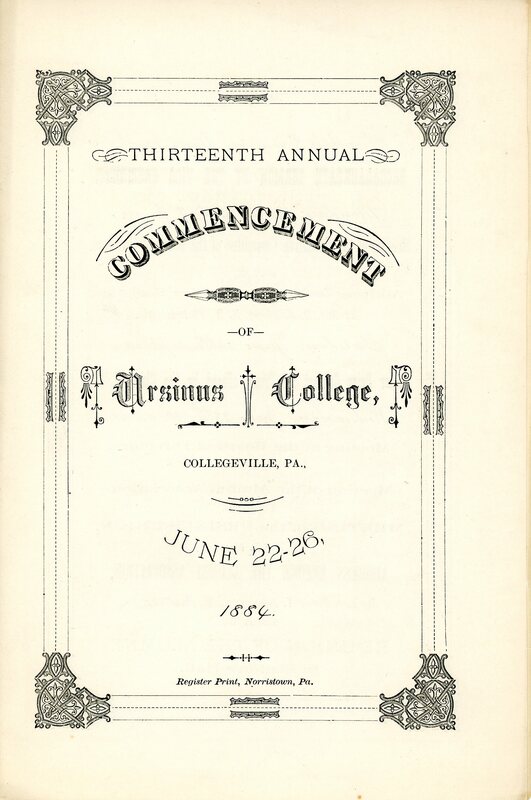 “Thirteenth Annual Commencement of Ursinus College,” Digital History at Ursinus, accessed April 20, 2019, http://omeka.ursinus.edu/items/show/608.